A decaying tooth requires the expertise of a well-trained, highly skilled dentist who can save the tooth with the most effective treatment. 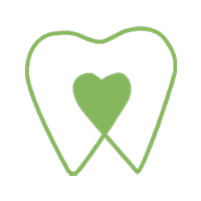 Hailun Wu, DMD, of Greenwood Smile Dental in Seattle is an experienced dentist who performs endodontic treatments like root canals, to preserve decaying teeth. If you have pain and discomfort when you chew, Dr. Wu and her friendly team welcome you to call the office for an appointment. You can also use the convenient online booking tool. Endodontics is the type of dental work that involves the pulp inside your teeth and its surrounding roots and tissues. Among the most common endodontic procedures are root canals to relieve pain and save an infected or diseased tooth. During a root canal, Dr. Wu carefully removes the infected pulp from inside your tooth, then cleans and disinfects the tooth and fills the cavity. Other endodontic procedures include saving a tooth after an injury, performing oral surgery to correct a complex tooth condition, and installing dental implants to replace missing teeth. If you experience any of these symptoms, it’s important to seek treatment right away so there’s a greater chance of saving your tooth from having to be pulled. Additionally, if you have a bacterial infection, it could become worse without medical treatment. Dr. Wu is experienced in root canals and other endodontic procedures to restore optimal oral health. What are the benefits of endodontics for saving my natural teeth? It’s always beneficial to save a natural tooth instead of having to replace it with dental implants or dentures. 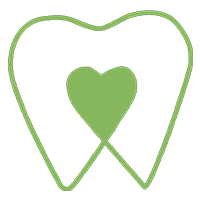 While artificial teeth have certainly come a long way in recent decades, nothing looks, feels, or functions quite like your own, natural teeth, so you want to preserve them as long as you live, if possible. Endodontic treatments help you maintain your natural smile and allow you to continue enjoying foods you love. And saving a tooth from extraction can actually limit your need for more extensive dental work in the future. With proper care, a tooth that’s had a root canal can last for the rest of your life. To learn more about saving your teeth and other endodontic procedures that Dr. Wu specializes in, call the office to schedule an appointment or book online.